Even if you have been married for over 10 years, there are still times when you can get all weak-kneed and heart-eyed for your husband. Today was one of those days. 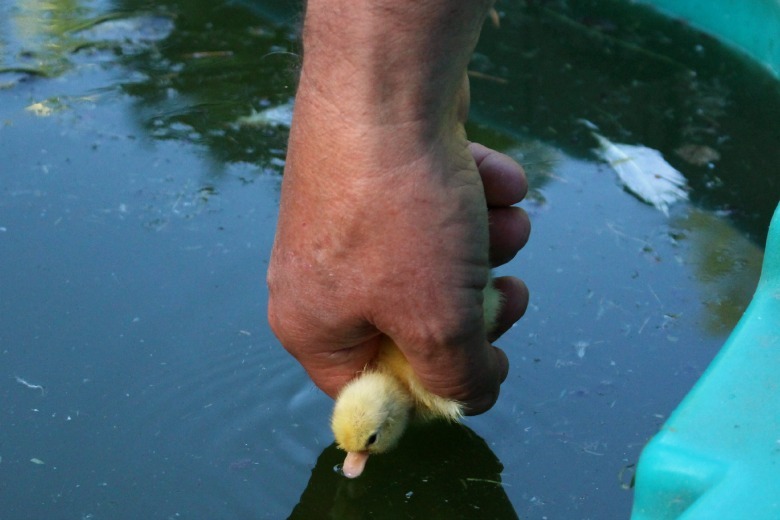 When I came home from work he pulled me to one of our many baby bird cages and excitedly showed me a little duck. 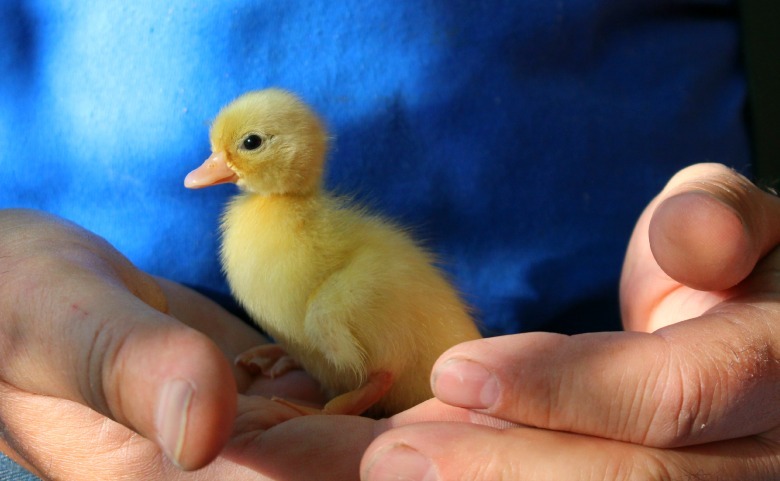 "He hatched today, and he's so small that I would like to raise him in the house. Is that okay with you?" Uhm, who can say no to this little bundle of cuteness? Not me. But that is just the beginning. What has unfolded since is the beginning of a wonderful, heart-melting friendship between this little duck (we named him Donald) and Rich. 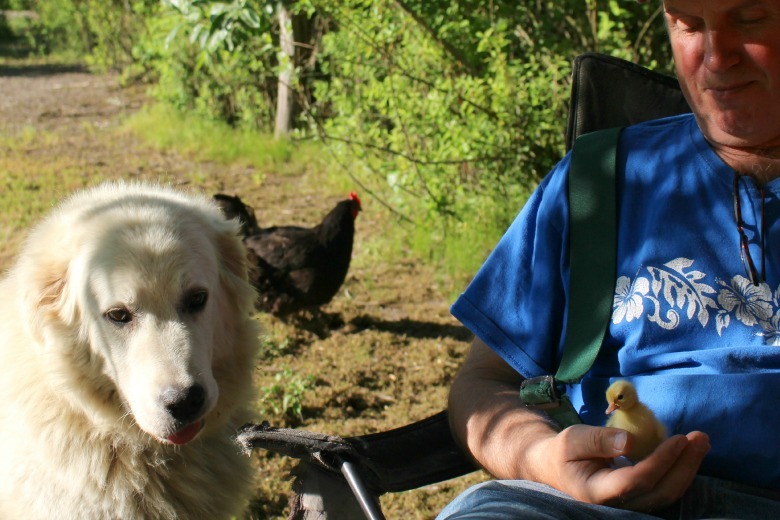 Donald has adopted Rich as his surrogate mother, and it's the cutest thing in the world! "He needs to drink", mama Rich says. Donald feels safe in mama's big hands. He's ready to take on the world! 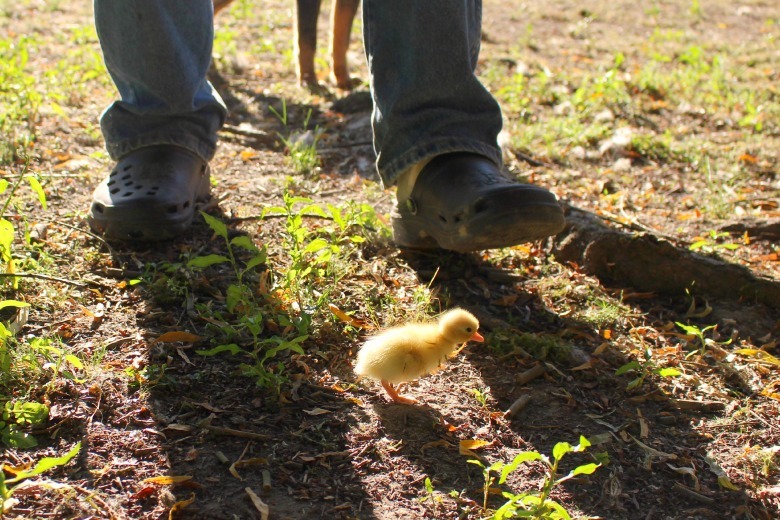 Despite being small, he is a brave little duck. ... and swimming in the big pond all by himself . Rich has been carrying him around all evening, and right now they are both watching TV. It's melting my heart! 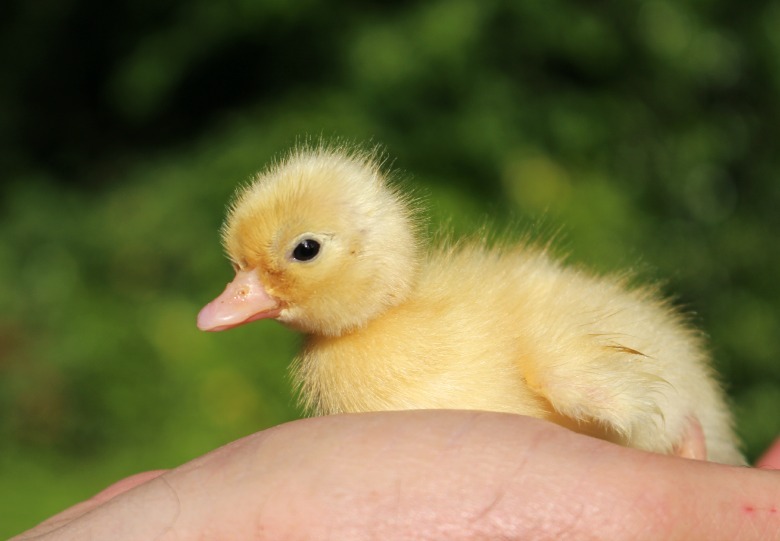 Donald came out of an incubator, so he had no mother to imprint on. 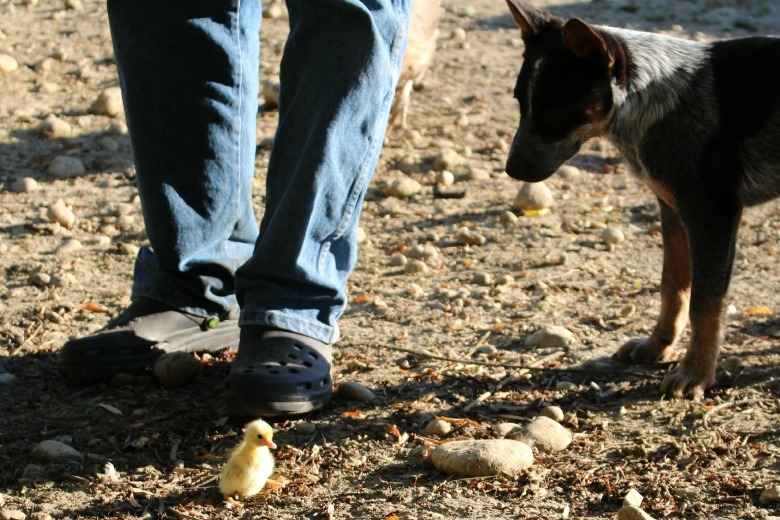 Rich took him under his wing (pun intended) within the first few hours of his life, and now Donald imprinted on him. He is so excited about his little feathery child, it's too cute for words. I have fallen a bit more in love with him today ♥. I hope you had a love-filled Sunday! 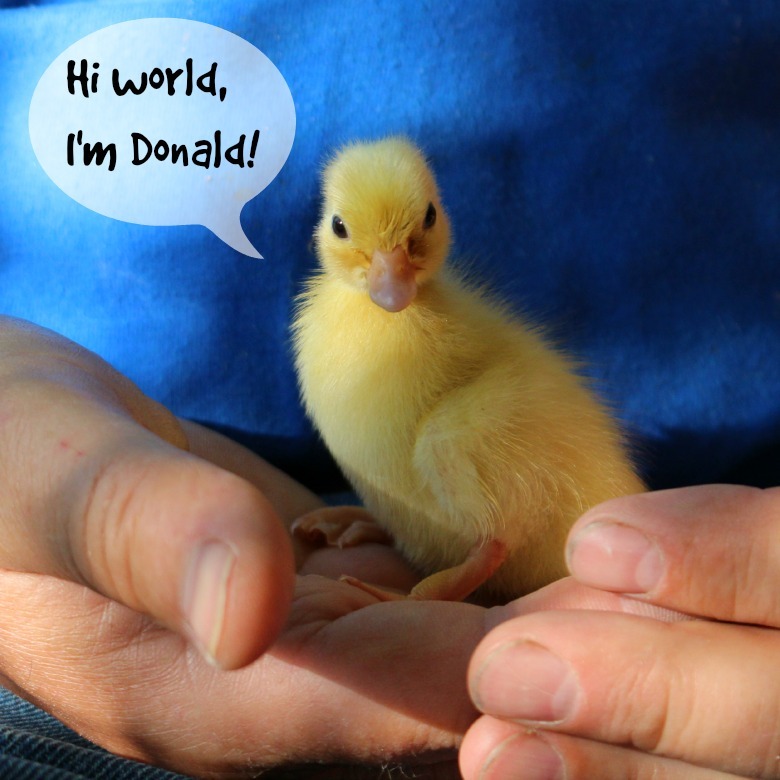 Click here to see Donald as a teenager. O that is just the cutest! Aw haha. What a cute little thing he is!! He will be a yogi in no time! OMG this is the cutest thing ever! haha I love it! Too sweet for words, just loving it!! It's amazing how big strong men can make us so weak in the knees time and time again! Oh my fluttering heart. That is too sweet and cute!! Donald is adorable and I love that your big, tough man is showing that tender heart by being such a good duck-mom. Also, love the photo of Donald on your feet - he's a natural at yoga. Donald is too cute! I love the pictures of him. Thanks! 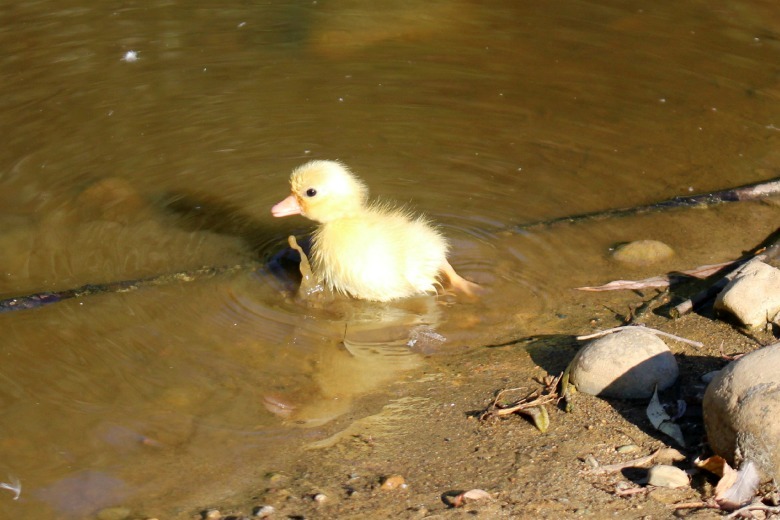 Three more ducklings hatched, so now he has friends! It feels so special when they show their vulnerable, soft side to us. Thanks! Isn't he very photogenic? So far he's very well behaved. But he found three friends (new ducklings that hatched yesterday), so he'll probably start getting up to a ton of mischief with them! He looks like a toy, almost unreal in his cuteness!